SKU: BBot 1020w. 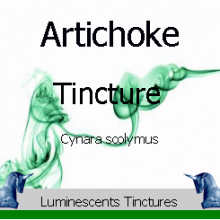 Category: Tinctures. 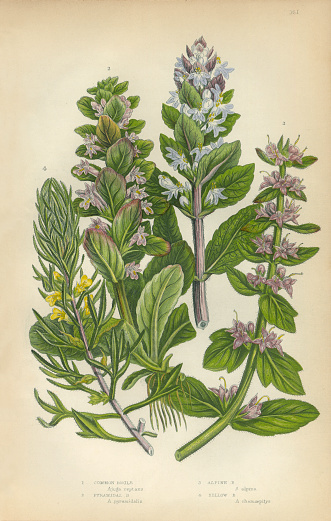 European settlers noticed its similarity to Gypsywort (Lycopus europaeus) albeit that Native Americans were not using Bugleweed except for occasional snakebite remedy. 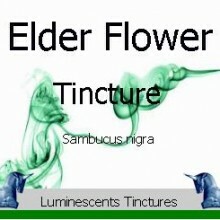 By the late 19th century, the plant was listed in the U.S. Pharmacopoeia as an effective treatment for internal bleeding. In modern herbalism it is valued mainly for its use in the treatment of an over-active thyroid gland. Two closely related species have very similar chemistries and can be used interchangeably with Bugleweed, although both are less active medicinally. They are Gypsywort (Lycopus europaeus) and Water Horehound (Lycopus americanus). A black dye is obtained from the plant. It is said to give a permanent colour to cloth and was also used by gypsies in order to darken the skin, hence the common name of the plant. 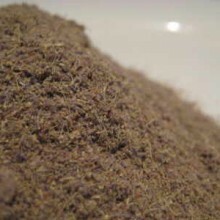 Modern research has shown that Bugleweed lowers blood sugar levels and inhibits the production of thyroid-stimulating hormones by inhibiting iodine metabolism in the body. In addition, it has a direct action on the lungs, reducing the production of catarrh and helping to suppress coughs. Although there has been little other scientific research into the plant, the medicinal actions are well understood by herbalists. These main actions are as an astringent (due to the tannins) and a sedative. 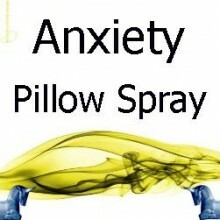 This sedative action works especially on the heart, slowing the heart rate and strengthening contractions. 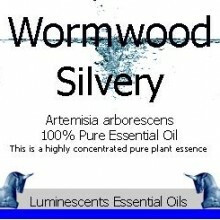 It is valued primarily for its action upon the heart and thyroid gland. It is often prescribed in the treatment of an over-active thyroid, where it reduces the activity of the thyroid and also helps to calm some of the symptoms of the complaint such as a racing heart and palpitations. 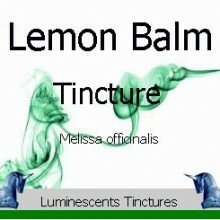 It is considered to be most effective in the early stages of the disease and combines well in this treatment with Lemon Balm (Melissa officinalis). The plant is also used to treat a racing heart and palpitations when they are not related to an over-active thyroid. 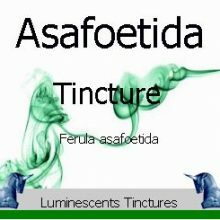 The plant is also prescribed in the treatment of internal bleeding, especially from the lungs, and is also effective in reducing excessive menstruation. 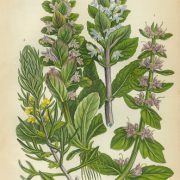 Bugleweed is often prescribed in the treatment of pulmonary tuberculosis, especially where there is bleeding from the lungs, and for treating coughs, especially where there is a heart problem. Used externally, the leaves are applied as a poultice to cleanse foul wounds. The plant contains many medically active constituents, including tannins, an essential oil, a bitter principle, lycopine and flavonoids. Tannins are bitter tasting astringent substances produced by plants to protect them from being eaten by insects, grazing animals etc. Tannins coagulate proteins and are therefore valuable for staunching both internal and external bleeding. In addition, they dry up mucous membranes and are often used in the treatment of diarrhoea and dysentery. Bitter principles have their main effect upon the digestive system. The bitterness stimulates secretions by the salivary glands and digestive organs. 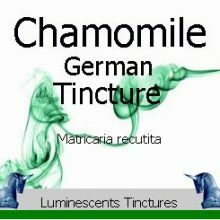 Such secretions can dramatically improve the appetite and strengthen the overall function of the digestive system. With the improved digestion and absorption that follow, the body is nourished and strengthened. Flavonoids help to improve the circulation and have diuretic, anti-spasmodic and anti-inflammatory actions.